Following the launch of Shawarma Bros at Bonifacio Global City Stopover a year ago, the Bros began looking for key locations to expand the BROtherhood. Enthusiastic response to the signature flavors meant finding the right place where people on-the-go could pick up a quick and satisfying meal. Grand Canal Mall and UP Town Center in Katipunan. The new restaurants are located in some of the newest lifestyle centers in Metro Manila. The Bros have launched new dishes to excite palates looking for something different and budget friendly. 1. Pita Tostadas with Garlic Hummus (Php 80.00) – Our pitas are toasted in Panini presses for that grilled shawarma wrap that has become a crowd favorite. We now bravely take our pita game one notch higher with a deep fried Pita Tostadas combined with a garlic hummus dip to create a pleasing appetizer or merienda treat. 2. 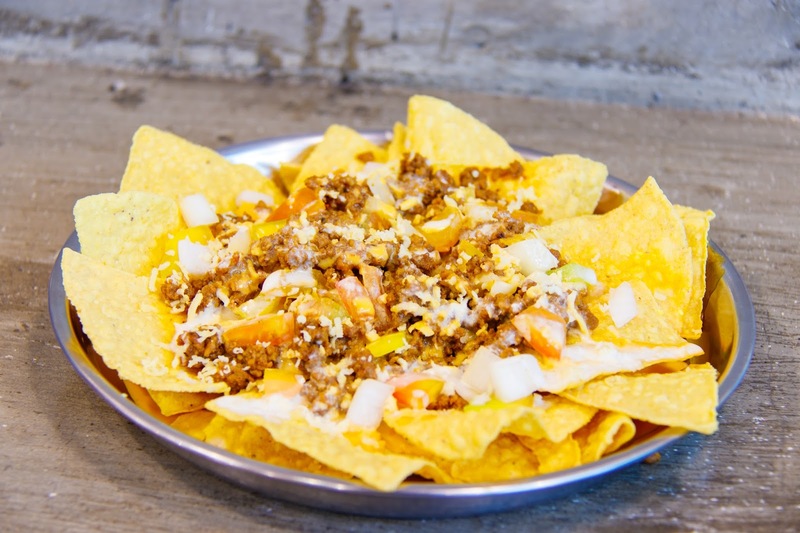 Keema Nachos (Php 159.00) – Experience a different side of the Shawarma Bros Keema as it is poured steaming over crunchy nacho corn chips, accompanied by grated cheese, diced tomatoes and onions and drizzled with your choice of two sauces. Match it with a beer from our local selection to relax after a long day’s work. Staying true to its roots, Shawarma Bros, which started as one of the first food trucks in the country, pays homage to each new location by having a mural dedicated to a specific landmark. In the Venice Grand Canal Mall branch’s exterior, a hand painted landscape of the famous Rialto Bridge in Venice serves as a colourful backdrop to a Shawarma Bros food truck. In UP Town Center, the truck is set in front of a hand painted artwork of the Quezon City Circle nightsky. Inside the stores, string lights hang over an urban inspired setting to suggest that food truck experience in the busy streets of a city. And like the first store, the Shawarma Bros Instagram Wall will have the IG photos of Shawarma Bros dishes snapped at that last catch-up session with an old friend, the romantic date night you chose to try something new or simply that supposedly “one drink only” turned happy hour. 2nd Floor, Venice Grand Canal, Mckinley Hill, Taguig City. 2nd Floor, Bonifacio Stopover, 31st Street corner Rizal Drive, Bonifacio Global City, Taguig City. Scheduled on a weekly basis. Schedule is posted on our Instagram and Facebook accounts. Available for events and private bookings.